Running a traditional members’ club in an era of social media is a tall order. 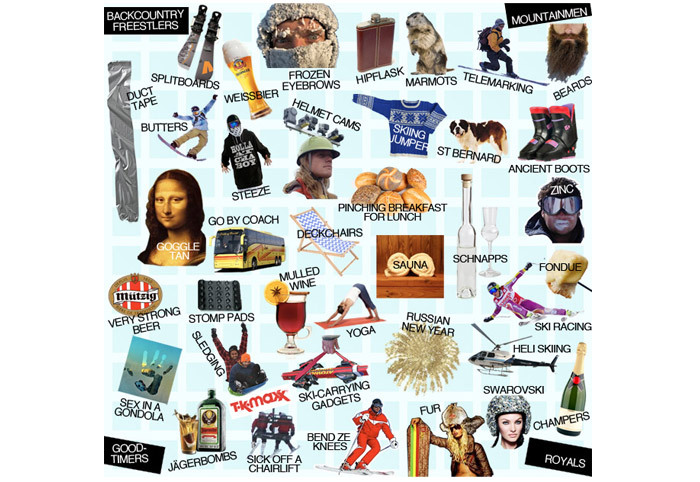 The Ski Club of Great Britain has a long and illustrious history. It was founded in 1903, and the club published the first ski magazine and organised tours and holidays, and the first British ski championships. These days skiers of all types still need information and advice, but the sense of belonging to a geographically diverse club of likeminded hobbyists is arguably heavily catered for by social media. 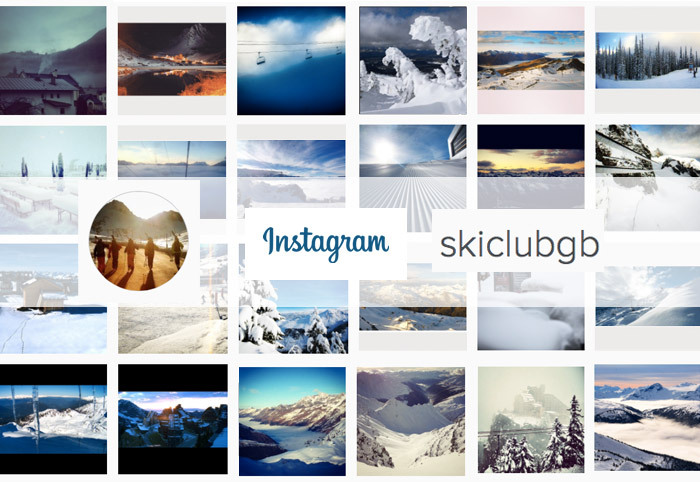 The Ski Club are trying to find their feet, creating an exclusive and paid-for club experience alongside a free web presence that is SEO-friendly and entertaining. 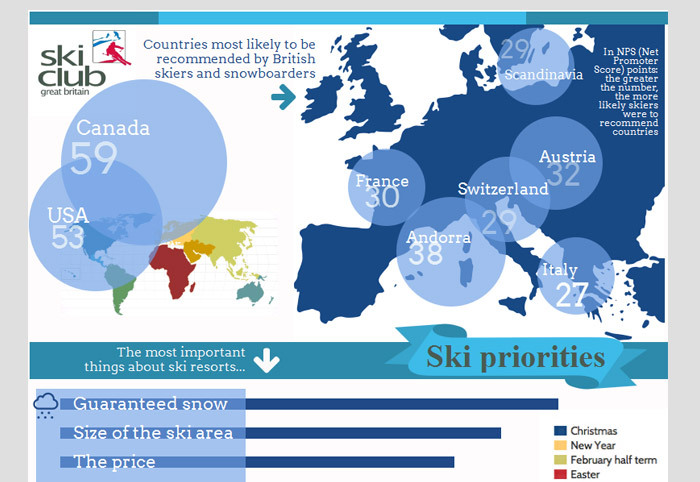 They also need to encourage non-members to become members, encourage members to take up their own Ski Club holidays, and keep their commercial partners happy with regular advertorial and editorial presence, without making anyone feel uncomfortably sold to. 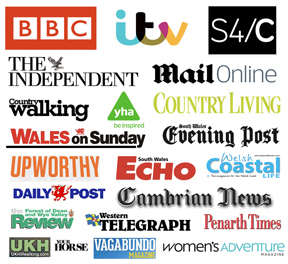 As freelance content manager I wrote daily articles for the site, fortnightly newsletters for members and non-members to 116,000 subscribers, and posts for the club’s Facebook and Twitter accounts. I also commissioned and edited blog posts, rewrote advertorials to make them readable and fun, and helped out with wording and design for house advertising and marketing. 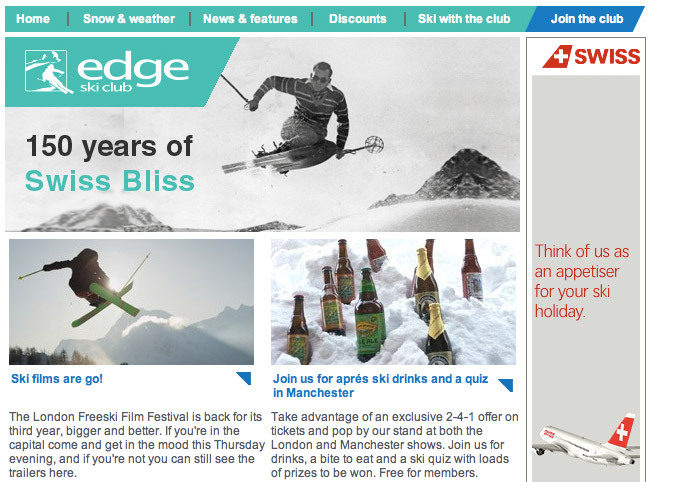 Some examples include an article on bringing the glamour back into flying, that was not-so-secretly an article for Swiss airline, one on ski fashion for Snow+Rock. The club had commissioned an expensive and extensive piece of consumer research, and had released it to the ski industry, but had no plans to shout about it to the club’s membership. I designed an infographic to get the findings across, and start establishing the club as the people in the know. The club was going through some tricky legal wrangles, and I had to communicate the latest to the members in a readable way. I made interactive content which did well on the club’s social media, like this ‘guess the ski resort from its logo’ quiz. And I wrote a lot of fun articles about the mountains, like this one on strange early season parties.